All of your summaries are set up to view your cash-ins and cash-outs in two easy-to-read forms, a graph and a table. You will see a line down the middle. This indicates today’s date. The green upward bars are your cash-ins. The gray downward bars are your cash-outs. The black dot for each entry indicates your net cash. You can view the exact amount that incurs on a certain date by hovering over it. The blue line graph is your running balance. The top of the table indicates a bar graph showing the total percentage of what is cashed-in and what is cashed-out. 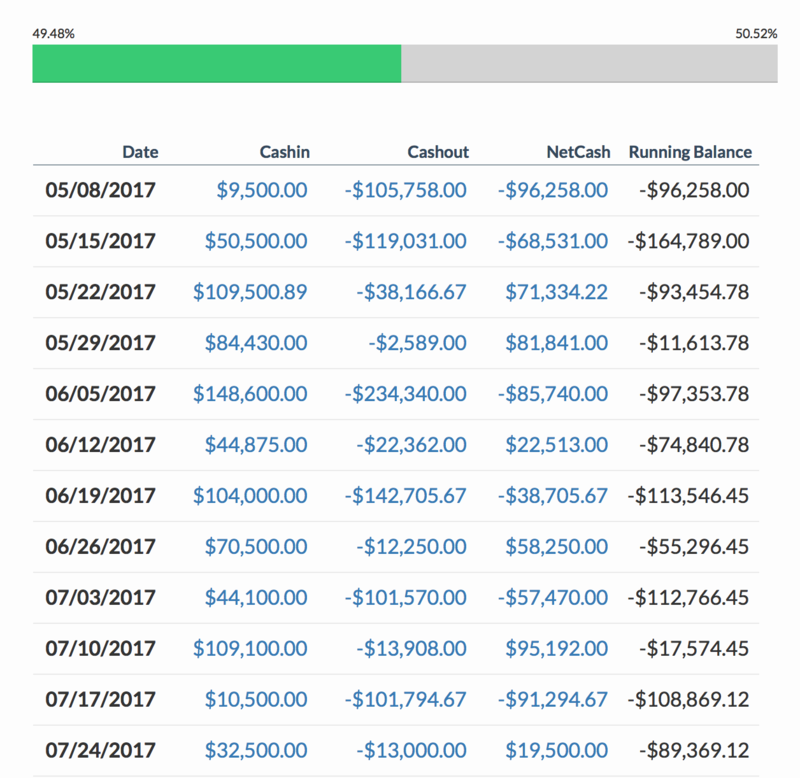 Each date shows the cash-in amount, the cash-out amount, the net cash and the running balance in one readable line. Click on any amount to open up the data details and breakdown of the amount (in daily/weekly/monthly/quarterly/yearly).